Chapter 128 - Living The Dream...? Making their way through the mountains once more, Chris and the girls continued enjoying the peace of the land around them, with Serenity taking out her guitar and casually playing along the way causing random Pokemon to take notice and follow as she played, with small bird-like Pokemon including Pidgey, Taillow and Swablu, as well as Starly, even a Pidov or two perching atop the carriage to listen and enjoy the ride, all young enough to retain a level of trust in travelers older Pokemon lack. Eventually, even an infant Cubchoo joined the group, leaping onto the side of the carriage and climbing up to the group, looking at them warily before climbing atop Chris's lap and sitting to enjoy Serenity's melody. Looking down, Chris blinked in surprise and smiled before feeling a chill run down his spine, looking nearby and finding its Beartic parents watching from behind trees with glowing eyes, their claws crushing the trunks as they growled causing him to sweat with a nervous laugh. Now taking notice, parents of the flying Pokemon atop their carriage were also watching from the treetops, glaring down the group while watching for any form of threat toward their offspring. "Boy, not very trusting..." Chris muttered with a nervous smile. "Eh, I be same way if babies I have get close to human. Though when it come to me, I not just sit back and watch. Humans not like what I do if get close to my baby." Serenity scowled. "It's not a problem if they don't mean any harm, right?" Chris asked with slight sweat on his face. "...Good question." Serenity replied, unsure of an answer herself while looking onward as she played. "Mean harm or not, I still be mad. Not like humans be near you. They get close to baby, I probably lose it. Just reaction." she shrugged. "A reaction is one thing. What you would do is called overkill." Chris laughed nervously. "Well, kill not wrong word, that probably what happen." Serenity smirked, causing him to gulp while Rose smiled warily. "I-I don't think I'd mind humans being close to my baby. As long as they don't try taking it or anything and act nice." she point out. "A lot of humans actually take babies without thinking about that." she sighed. "I've seen it happen many a time in my travels. A lot of Pokemon are left to wallow in their grief over the loss while their young are off fighting on a daily basis after haphazardly running into a human traveler, pushed into battles and evolving as quickly as possible. Our kind tend to have a rather pitiable existence but... What can you do? Humans are, sadly, the dominant species, though they are weak, frail little things. I'm surprised we allow it... Perhaps it's some underlying nature from an age forgotten?" Alicia shrugged behind them. "Tch, one more good reason to get rid of if ask me. No humans mean all Pokemon be free." Serenity point out, Rose and Alicia looking at one another in a "hard to argue against that" kind of way, though they shared a guilty look for sharing the same thought. Looking down, Chris let out a sigh before giving the reins a soft snap and clicking his tongue as they went upwards. 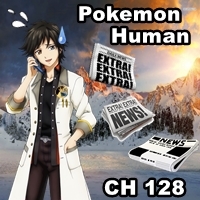 "I do think there are more things we as humans should take into consideration before catching Pokemon, but then again, a lot of Pokemon seem to like joining humans they think can help them grow..." Chris point out. "Pokeball's are designed to capture only willing Pokemon, but then again, they also capture weakened ones..." he added, looking ahead as an expression of thought appeared on his face. "Maybe... They should design Pokeball's to reject injured Pokemon as well. If a Pokemon is unwilling but too injured to resist, I think a Pokeball should still refuse to capture that Pokemon, you know? I mean, if its body is wounded but its mind is still saying no, a Pokeball should sense that. I'm not a fancy-pants scientist though so how to program that stuff is beyond me." he shrugged. "If a Pokemon is injured but thinks "This human is strong, his Pokemon are powerful, I like him!" then the ball could capture it, since it's wounded, but willing. I doubt there are any baby Pokemon that are willing to be captured and taken away, so it would help keep them with their parents until they reach an age where they're ready to leave the nest as a bonus." Chris smiled, the girls showing him a collective smirk. "If more humans like that, I not have reason to hate them." Serenity nodded. "I kinda think you should be one of those scientist thingies. I mean, your ideas sound pretty solid, and you already did that whole project thing with the Professor, if you were a traveler AND a scientist, that'd be pretty amazing." Rose point out. "He has a generous heart but I doubt the brains are there for such a feat." Alicia teased, causing Chris to scowl. "Hey, maybe I'm not so good with the details, but I've got the concepts down!" he point out. "An idea is grand and all, but without the know-how to implement it you'd be a hindrance to those who support that idea. You'd have to be able to contribute in more ways than "Hey! Here's a thought!" if you catch my drift." the snake affirmed. "I guess that's kinda true." Chris admit, scratching his cheek. "Well, it still couldn't hurt to let your ideas be known, ya know? I'm sure there are people willing to make em' happen even if you can't contribute beyond the idea itself." Rose nodded. "Like that Celebi thing you make with Professor human. If your idea sound good enough, others be willing to make it happen, even if not able to do more than share idea." Serenity added. "I suppose there's a truth to that, but it doesn't mean others will just accept and push any grand-ol-idea one blurts out. One has to limit themselves, otherwise the best ideas will be drowned out by nonsensical things." Alicia affirmed. "Though in the end, I suppose you've done rather well in this regard. You push extraordinary concepts, grandiose things that would seem impossible or ludicrous to most, and yet they seem to happen." the snake shrugged. "You do have your own... Ah, what is it humans call it...?" she paused, thinking it over before letting out an "ah!" and smirking. "Eccentric side to yourself." she grinned. "Me? Eccentric...? Isn't that what they call those crazy rich people?" he asked, thinking it over as well. "You want to build the biggest ship in the world that offers free trips to people, sounds pretty right to me." Alicia reminded. "G-Guess it does sound kinda crazy." Chris smiled nervously. "It's pretty wild... But the idea comes from the heart and is for the sake of others. So it doesn't make you crazy I don't think. Just really, REALLY generous. Maybe too much." Rose smiled with slight sweat on her face. "I dunno, in today's world, the way things are, I don't think there's such a thing as too generous. If nothing else, I think what I do for others, and the stuff I want to do, balances things out." Chris point out. "Eh, do too much for humans if ask me. Too good for them." Serenity shrugged. "But, it make you lovable in way I guess. You good. Like Rose say, too generous." she nodded. "Oh, so I'm too good for you girls then?" he grinned slyly. "Oh please, the opposite perhaps." Alicia scoffed before snickering and apologizing. "Har-dee-har." Chris smirked before sticking his tongue out. "Me being crazy or not aside, you're getting pretty good with that thing! Really draws in a crowd now." he praised as Serenity strummed, noticing the perched Pokemon continuing to enjoy the ride while Cubchoo started nodding off on his lap. "I think Guile had a pretty good idea goin' when he talked about putting you in competitions. Keep improving and maybe I can find a way to enter you into musical contests too someday! Bet people would be blown away by a Pokemon who can strum a tune better than a human! At least that way you can compete with them and get some satisfaction from winning in a way that doesn't involve hurting any of em'." he point out, Serenity glancing at him and smirking before looking ahead. "Dunno, that involve a lot of humans watching me, right? Not sure how I feel about that, but not hurt to think about I guess." she nodded. Showing a smile of his own, Chris jolt when he felt a tug on his coat, turning to see Rose smiling nervously while pointing out the Beartic walking next to them. Blinking in surprise, Chris let out a wary "H-Hey?" before the Pokemon grumbled back and point out the cub on his lap, now snoozing silently. "Ah, sorry about that." he apologized, letting Rose take the infant from his lap and hand it over. Taking it in arm, the Beartic nodded before walking off toward its mate, while flying Pokemon started flapping up to the carriage and instructed their own young to follow, likely due to the group leaving their territory. "Guess that's the end of your show fellas." Chris grinned while giving a wave as the young flew off with their parents, the girls watching as well. "Must be nice to have babies." Serenity point out. "Yeah... They're always so cute. Even human babies! Though they can be kinda loud." Rose smiled nervously, the statement making Serenity show an uneasy expression. "Not... Sure how I feel about human babies. It weird for me." she replied. "Well, the only thing I know is that you don't seem to mind kids for some reason. I consider that a good thing though." Chris smirked as Serenity adjusted her guitar. "They... Okay." she replied before strumming again. "Human children are... Different, from Pokemon offspring. Their behavior, mannerisms and such. They really show how different our species are" Alicia nodded. "Ha ha, that makes me wonder how well a Pokemon could handle raising a human." Chris grinned. "Well, we've certainly had a time with you." Alicia point out. "Eh...? I'm an adult." he reminded. "On the outside. The rest is still a work in progress." the snake laughed. "H-Hey! So maybe I like to joke around and have some fun! Doesn't mean I'm not an adult!" he affirmed before scowling. "I'm just quirky..." he grumbled. "Aww, there we go again, acting like a pouty child." Alicia snickered. "it is kinda cute when you get that way." Rose giggled. "Wh-Whatever!" Chris replied, focusing ahead again while Rapidash glanced back and let out a grunt. "Even horse agree with snake." Serenity giggled. "Bah, he's just a traitor anyways. I can't even have a fellow bro on my side." Chris waved. "I think that says more about you than him." Alicia snickered, causing Chris's eye to twitch while Rapidash smirked and looked ahead again. "Not worry, we know you adult. You prove you man lots." Serenity assured, giving him a pat on the back. "Yeah! We're just having fun." Rose smiled while cuddling against him. "Well, you perhaps." Alicia smirked, Chris looking back with a grunt. "Oh come now, I'm kidding." she assured with a chuckle. "Bah, whatever. Anywa...!!" he replied, pausing when a noise went off in his pocket. Jolting, the girls looked at him curiously as he took out his Pokedex and raised an eyebrow. "Huh, who's that?" he muttered. "What going on?" Serenity asked. "Getting a call but heck if I know the number." he replied before flicking his device open. "Hello? Who's this?" he asked, the girls watching curiously. "Yeah... Ah. Well, this is him." he went on as the girls looked at one another. "You want a wha...? With me? I dunno. I've never done stuff like that." he replied. "I guess... Wait, meet where? I'll need time to settle." he smiled nervously with slight sweat on his face. "Really want it that bad huh? I guess it couldn't hurt." he agreed, nodding several times while listening. "Guess we can set it up then... Right. I'll uh, let you know." he assured before hanging up and looking at his dex in a puzzled manner. "How did they...?" he muttered. "What going on? Who that?" Serenity asked. "Some news outlet. They wanna meet up in the next town and have an interview with me." Chris smiled nervously. "An interview? With you?" Alicia replied, tilting her head. "Yeah, since the Millennium News thing they wanted to get some time with me. I think they're from a different region." he explained. About to say more, he paused when his Pokedex started ringing again, causing the group to jolt as he gave it a look. "Another weird number?" he muttered, tilting his head before answering. "H-Hello?" he asked. "Y-Yeah, this is him. What can I...?" he added, seemingly going through the same process as the girls looked at one another and shrugged. "S-Sure, see you then, I... Guess?" he finished, hanging up with a bewildered look. "Another news agency wanting time with me..." he explained. "Two at once? How will you manage that?" Alicia asked. "Heck if I know. What's more important is how the heck they got my num...!!" he replied, interrupted yet again as his dex started ringing a third time, making even the girls sweat slightly as he answered and went through the same process once more. "I not sure how I feel about so many humans calling him." Serenity point out. "It is kinda creepy how they all got his number like that at the same time." Rose added with a wary look. "When it comes to the news, humans are a rather insatiable bunch. They go above and beyond any means necessary to get what they want. That duo what's been busily stalking us since our time in the city should tell you that much." Alicia reminded. "Three outlets wanting to talk with me at the same time... Whoo." Chris sighed. "I'll let you girls handle some, how's that?" he laughed. "Why you want me to talk to humans? You know I not have good thing to say." Serenity point out with a scowl. "I-I'd be too nervous, especially in front of those camera thingies." Rose smiled nervously. "I dunno, perhaps the world could benefit from one such as I gracing their screens." Alicia smirk proudly. "You forget my power not work that way? Human only know what say if face to face. Sound like normal Pokemon on TV." Serenity point out. "Ah, that's right." Chris nodded with another sigh, only for his Pokedex to ring yet again. Freezing up, this caused him to sweat again as he warily looked at the device, another unfamiliar number showing. "I-It would be rude not to answer...?" he smiled nervously, his tone questioning whether he should or not while Alicia and Rose looked at one another, Serenity shaking her head with a "Not answer if I you." remark. Optional track to LWR - Listen While Reading - We Want YOU!! Doing so anyways, Chris went through the same process as before, another outlet eagerly on the phone chattering away for a meeting until setting up a callback time, leaving Chris with a dumbfounded look on his face. "Let one guess, another outlet?" Alicia asked. "Y-Yeah..." he nodded. I-I don't think I'm ready for...!!" he added, only for his dex to go off again, even Rapidash showing a wary look as he glanced back. Answering once more, Chris spoke with another outlet as Serenity shook her head with a "not smart" remark, adjusting her guitar again while Rose pat him with a quiet "there there" and smiling as he agreed to another meeting, finally hanging up. "Not answer again." Serenity scowled. "I agree, methinks you're biting off more than you can chew." Alicia nodded. "You're only one person, how ya' gonna meet all of em'?" Rose asked. "D-Dunno." Chris shook his head. "I guess I could do it like those government guys do it. Have one big thing set up for everybody to meet me. Some kinda press thing I think they call it." he added. "I suppose it was only a matter of time now that your story is out in the open." Alicia point out. "It's not just about me. They want you girls in on it too." Chris smiled warily. "Good luck with that." Serenity replied with a "psh" in response. "N-Not my thing..." Rose added, fidgeting nervously. "H-Hey! I don't wanna be alone!" Chris panicked, only for his dex to ring yet again. "How are they getting my number?!" he snapped in frustration. "You one that keep...!!" Serenity point out, pausing as he started talking. "...Answering..." she sighed, shaking her head. "I let you know, I not be part of. Way too many humans for me." she affirmed. "I suppose it's alright, but it is starting to sound a tad overwhelming..." Alicia added. "Who's giving these people my...?!" Chris asked, finishing one call only for his dex to ring again. "Gee, this gonna happen the rest of the day?" Rose asked in awe. "Well, that broadcast WAS worldwide, one would assume this means the world is going to want interviews now." Alicia point out. "I-I'm ONE guy!! I can't see the WHOLE world!!" Chris panicked, only for his dex to strike again causing his tone to turn a pale color, warily answering as Rose blinked in surprise and sweat, Alicia muttering "my word..." while Serenity shook her head. For some time after this, Chris started taking call after call from reporters across the various regions, some wanting interviews they too could broadcast, others wanting to put him in papers, even a few publishers sprinkled into the calls wanting to set up time for details on the events surrounding him, with countless Pokemon fanatics wanting the same out of the girls ranging from specialists on certain breeds to Poketarians, the Pokemon equivalent of humanitarians seeking to dive into his relationship and living arrangements with his Pokemon, leaving Chris a ghost-colored and sweat drenched version of himself while Rose covered her ears, the constant ringing and conversations giving the sensitive rabbit a headache while Serenity decided to follow through the air in the distance, using her psychic to glide along away from the noise, looking as if lying on her back while continuing to strum her guitar in peace, Alicia burying her head under pillows within the carrier. Finally coming to what seemed like the end of the onslaught, Chris looked at his dex for a moment with a trembling hand before slowly placing it in his pocket, scared a slight brush against the device might send it off again. Holding it in his pocket for a moment, he carefully pulled his hand away and placed it back on the reins with his other hand, Rose opening an eye with an "eh?" before looking at him with Alicia raised up with a groan of relief. "Call over?!" Serenity shout from the distance before returning to the carriage and sitting in her spot next to Chris with a sigh. "About time. That ridiculous." she point out. "I was ready to pull off my ears..." Rose groaned with a slump. "It's enough to give another second thoughts about being popular." Alicia added, slithering back up to the window behind them. Remaining still and silent, Chris was afraid a single word from him would be enough to set off the device the same as a wrong move, sweat and a pale color remaining on his face. "Y-You gonna be okay?" Rose asked. "S-So many..." Chris muttered. "Th-They all want to meet in town..." he added. "K-Kanto, Sinnoh, A-Alola..." he went on, his hands trembling. "Johto, H-Hoenn, Unova, K-Kalos..." he stuttered. "R-Reporters, publishers, p-papers..." muttered, Serenity raising an eyebrow before taking the reins causing Rapidash to jolt and glance back. "Hey, this make me uncomfortable too. But not have choice." she told the horse, motioning for him to look at Chris as he sat, his hands still out as if holding the reins. Letting out a grunt, Rapidash shook his head and continued on, letting Serenity control while Rose and Alicia gave Chris wary looks. "Poor man's frozen stiff." the snake sighed. "W-Well, when the world wants your attention, anyone would cave." Rose smiled with sweat on her own face, rubbing his back as Chris went through a sudden bout of paranoia. Eventually, his dex suddenly started going off again, causing him to shout from the startle before taking his dex out. "Not answer." Serenity affirmed with a stern look. "I agree, enough is enough for one day." Alicia nodded. "Y-Yeah, that's too much ringing and talking." Rose panicked. Nonetheless, he took out the dex once more, only to suddenly pause and raise up when he saw a familiar number for a change. "I-It's actually the Captain this time." he muttered, the girls looking at one another warily as he answered. "H-Hello? That you sir?" he asked. "A-Ahoy lad, everything alright?" Rostron asked. "Uhh... Kinda?" Chris replied, the Captain's voice sounding like he knew something. "We've had a bit of an... Onslaught, as of late. The past day or so its been nothing but reporters and the like hassling us over the cruise, and.... You... In particular. I'm uh, I'm afraid we caved and let your number slip our lips... Terribly sorry about that. The hospital staff have had a bit of an overwhelming time trying to keep them at bay, and the crowds haven't done other patients here much good either. Afraid it was the only way to steer them off our backs and give the nurses and guards a breather... I uh, suppose they've been in contact?" the Captain asked in a guilty tone. "J-Just now actually. I've been spending forever taking calls." Chris groaned. "I really apologize lad. We wanted you more than anyone to have a break after what happened, but it seems we're at fault for more woes landing over your shoulders." Rostron replied. "I-It's fine. If they were bothering staff and patients, I guess I'm glad you sent them my way instead. People from the news are savage." Chris point out. "Aye, that they are, worst than any beast if you ask me. They'll not care who they pester nor' step over to get what they want. I apologize again for what we did. I know it wasn't right to give your information like that away." the Captain replied. "Well, the calls have stopped for now so... I guess I made it through." Chris laughed nervously. "Well, don't jinx it lad. The mass that gathered here was rather impressive. You have some crowd after you. With fame comes many things, including the worst... I know it doesn't excuse us, but one way or another they would've caught up with you. Good luck and... We're terribly sorry again." Rostron apologized once more. "H-Hey, at least the way to town will still be peaceful." Chris assured. "I see they already aired that bit of coverage they got out of us on TV today as well. Impressive how quickly they can gather and throw things together. Media truly is a force to be reckoned with in our modern age... I just wanted to offer my apologies and wish you the best of luck lad." the Captain repeat. "H-Hey, no worries. You guys just get better." Chris smiled nervously before they gave one another their goodbye's and the line shut. "Captain human have big mouth." Serenity scowled. "H-Hey now. Those guys are in the hospital. I don't blame em'." Chris reminded before his dex rang again, the group groaning as he picked it up. "A-Arthur?" he muttered. "N-No, could be Angela, Gerald?" he added before answering. "H-Hey there!" he smiled. "Chris darling! Aren't you Mr. Popular!" Angela's voice called out excitedly, causing him to jump and pull the dex away from his ear. "Y-Yeah? Guess so?" he laughed nervously. "I can't tell you how many reporters we've had swarming our gates all of a sudden! Everybody wants to catch up to you! Been a rather exhausting time for us really on top of everything else keeping us busy lately." she giggled. "We've had staff giving them proper means of getting in touch with you, no shady types of course. Have you had any calls by chance?" she asked, causing him to pull the phone away from his ear and turn his face away with a groan. "Y-Yeah, they've been calling me." he replied. "You don't sound too thrilled, is everything alright?" she asked. "I-I'm fine! Just been a lot of calls." Chris assured. "If nothing else it gives you a taste of our life! Day in and day out we're always communicating with somebody, be it partners or media. Just think of it as what life could be like here! Always something to make things exciting!" she point out, Chris and the girls looking at one another and sweating slightly. "Oh, but you already have quite a thrilling time, don't you?" she added, Chris responding with a nervous "Y-Yeah." and trying to give Angela an honest laugh. "Well, rest assured we'll make sure the right people get the right info! Of course only the best should be allowed to contact you! Our staff will keep checking credentials and the like, get the nitty gritty if you will. We're going to make you the brightest star this little world has ever seen!" she laughed while the color in Chris's face vanished again. "O-Oohh! Thank you!" he replied, doing his best to push enthusiasm. "No need dearie! No need! You take care now and get ready to see your name in lights!" she affirmed before the line cut off, leaving Chris to sit sweating profusely despite the freezing air around them. Th-The Captain and Angela, they're both in on it..." he smiled as his eye twitched. "Uh oh, you'd think everyone at the mansion would ask you first." Rose smiled nervously. "Well, they likely live this sort of life daily, being in the limelight I mean, so they likely consider it a blessing for you. I suppose you can't fault that Angela character." Alicia sighed. "Problem is you're just not bred for that kind of thing... Do try not to make too great a fool of yourself." she cautioned before his dex rang yet again. "Oh man, no more, please no more..." Chris groaned, looking at the number and seeing the Professor, causing him to sigh before answering. "H-Hey th...!!" he greeted, cut off by an excited "Hiya!!" from Rose on the other end of the line. "How's it going Mr. Man-of-the-Hour?" she asked. "G-Goin' good." Chris laughed nervously. "We've had folks coming here out the wazoo lookin' for you! And wanting the scoop on our little device as well. The past few days have really been a roller coaster!" she laughed. "S-Sorry about that." Chris apologized. "Oh no need! Now that we're ready its been the perfect opportunity to get the word out on the Celebi unit! Of course after we finish with the reporters we've been givin' them the tip on how to catch hold of you too. Any calls yet?" she asked. "Oh... Plenty." Chris smiled with a frustrated pulse on his face. "So you've been giving my number out?" he asked. "More times than we can count bucko! Not to anybody that looks on the shady side though. We've been makin' sure only the legit ones get what they need. You're going to have a line followin' you long enough to span the Valley!" she laughed. "G-Great! Yeah!" Chris laughed as well, forcing it out as best he could. "With you and everyone else giving my number..." he muttered with his face away from the phone. "After that broadcast earlier we've had a whole 'nother round of reporters comin' to the lab today, a lot of these folks are from other regions to boot so we're really nailing it with getting word out on the Unit, and on you of course." she chuckled. "Get ready buddy! You're gonna be a smash hit!" she praised before reminding him to call her if he needed anything, bidding him farewell and hanging up leaving him with his twitchy eye acting up a second time. Maintaining a smile on his face, frustrated pulses could still be seen despite his happy look, the girls facing one another while Serenity and Rose scoot to the edges of the seat slightly to give him some space, Rapidash glancing back with slight sweat himself. "Y-You gonna be okay?" Rose asked warily. "Not uh, not look too good." Serenity point out. "Perhaps we should stop? Have a spot of something to drink?" Alicia suggested. "Oh, no. Might as well keep goin' since that's just delaying the inevitable." Chris replied, his smile continuing to show yet slightly putting the girls on edge. "Y-You kinda have that look Serenity shows around humans." Rose point out, his smile hiding what felt like an urge to punch within. "Well, it's just a little annoying to know everybody is getting my number and my peaceful plans for a special festival are being side-swiped from a blind spot, but hey! Whatever." Chris replied before his dex rang once more, causing him to toss his hands up with a "Goodie!" before answering, the voices turning out to be that of a collection of elders from his village, praising him and going on about reporters swarming into the village wanting to get in contact with him. Nodding and listening, Chris did his best to push enthusiastic responses, Serenity and Rose unable to scoot any further away while Alicia backed away from the window, casually humming to herself as the elders went on over the phone. Once they were finally done, Chris put his dex on the seat before facing Serenity with a smile, the Pokemon jolting wide eyed and pale as he asked her to stop the carriage. Quickly doing as told, she pulled over before Chris stepped down and went to a massive mound of snow he'd noticed, standing in front of it before shoving his face in and letting out furious and frustrated screams. "...He shoved his head into a bunch of ice..." Alicia point out. "G-Guess ya' can't blame em'." Rose laughed nervously as they heard rounds of muffled profanity, causing Serenity to whistle and fan herself. "Feel that steam from here." she muttered before his dex started going off, the sound causing Ninetales aura to burst out of Chris and melt the mound of snow, Serenity quickly shoving the dex beneath her and sitting on top of it as they sweat collectively. Turning around, Chris returned to the carriage as his aura vanished, his face down as he shot his hand out. "Give it." he instructed, Serenity looking at the others before nodding and warily doing as told. "I-If sure." she replied, handing it over before he answered and started pacing. "I don't know whether to pity or fear him at the moment." Alicia muttered. "I'd say both is a good option, m-maybe fear." Rose point out. "I have to say, it good he getting mad at humans, but it bother me at same time. Not sure how to feel. It bad he mad too." Serenity added. "Scared of news reporters and frustrated with those giving out his number, yet too meek to do anything about it." Alicia sighed. "Guess that's the downside of being a nice guy... Still, it's the human I fell for. Even if it causes some tight spots now and then..." Rose point out, the girls suddenly looking at her. "...What?" the rabbit asked, blinking at them before showing a slight blush. "Y-You two are perverts." she scowled. "E-Excuse me? You said it." Alicia scowled with a blush of her own. "I wasn't thinking of THAT when I said it!" Rose argued. "You both wrong." Serenity muttered, yet a blush of her own appeared as Chris finally finished pacing and put his dex in his pocket before returning to the drivers seat. "Alright... We can go now." he sighed, motioning for Serenity to hand him the reins before they continued on their way, Rapidash glancing back warily while the girls kept their eyes on him as well. "Y-You okay? All good?" Serenity asked. "I'm fine." Chris replied. "Y-You sure? I mean, you melt a giant pile of snow in one burst." Rose point out with a nervous laugh. "All good." he assured. "You uh, don't feel like venting or... Anything? Nothing to get off your chest?" Alicia asked. "Nope. Fine." Chris nodded. "Nothing we can do. The number is out there, the reporters are on their way. Might as well get prepared." he added. "Well, you could tell them all no." Alicia suggested. "It's the news. Telling them no is like denying a baby a bottle. It just gets worse." Chris scowled. "I can't help but feel a lot of people will be insulted by that." Rose laughed nervously. "Sound right to me, but I think that about all humans, none of them easy to deal with." Serenity shrugged. "Now you know why I not...!!" she added, Chris giving her a scowl making her smile and glance away. "N-Never mind." she laughed nervously. "It's just something else to push through is all. Find a way to deal with them all at once and I won't have to worry about the festival being ruined for us. It's like I said, set up some press thing or whatever." Chris nodded. "Though from the sounds of it we'll need a friggin' arena." he muttered. "Well, if you not able to say no and think news not leave alone, I pretty sure I can make leave alone." Serenity smirked. "If you attack news people we really will be in trouble." he affirmed, the Pokemon scowling with a "fine" and crossing her arms. "I just saying, if humans bother you, say so." she added. "So uh, how is this going to work exactly?" Alicia asked. "Well, those news people and all will probably be where the festival's being held. I wouldn't be surprised if they're ready and waiting before we even get there, most of em' anyway. I'll squeeze in getting some time to settle down and all at a place before doing anything with those people. There has to be some kinda place I can get it all over with at once, a Town Hall kinda building or whatever... I-I dunno. I'll deal with it when the time comes. For now I just wanna enjoy what peace I guess we've got left." he nodded, letting out an agitated grunt. "Y-You could just tell your human friends not to give out your number to anymore people." Rose point out. "A bit too late in the game for that now, and it's like the Captain said, the news teams would still find a way to track me down. Those kinda people are worse than any stalker could hope to be." Chris sighed. "They don't quit or leave until they're satisfied... Just let them talk, answer their questions, and send em' back where they came from as quick as possible." he nodded. "That's how most people do it anyways, I guess." he muttered. "At least with people I know being responsible for them getting my number means I can have a little more trust in who's coming our way. It's like they said, none of em' would send any bad types chasing after us." he point out. "You make it sound like ALL news focused humans are a bad type, so does it really matter?" Alicia asked, causing Chris to slump. "You know, you've got a point there." he nodded before his dex resumed its ringing, causing him to slump all the more before taking a deep breath and answering, this time more reporters looking for an interview. "I wonder how long this go on for?" Serenity asked. "I dunno, but it's gonna drive me crazy..." Rose groaned while covering her ears again. "I do believe I've underestimated the negatives of being a figure to others." Alicia added with a slump of her own. "It's enough to make one find popularity repulsive." she went on. "I not like humans on normal basis, this making it worse." Serenity point out, digging in her ear with her own eye beginning to twitch. Ahead of them, Rapidash was beginning to show a pulse of frustration as well, the constant ringing combined with the chatter testing his nerves and patience as the horse struggled to focus on his steady trot. Not what he expected it seems. Then again, when is anything ever the way he expected? Their talk about offspring. While I hope that all three girls get an additional new meaning in their life with their offspring, I hope that Serenity’s parental care won’t be a too strict one considering how she may just react in certain cases… buuuut they are still unaware of their own luck and what they say now may not be the same they will do in the end. "Human children are... Different, from Pokemon offspring. Their behavior, mannerisms and such. They really show how different our species are" Alicia nodded. So Alicia knows about human children, but it looks like she has no idea about the need for care of human babies. Otherwise she would have point out these differences and not the differences of “older” human children in mannerisms and such. Well this answers my question about Alicia knowing or not knowing about human baby care I had in chapter 120. Sigh… if I only could remember all my unanswered questions I had in previous chapters, I could be this satisfied more often probably. A bit off topic, maybe something for the next FAQ, or maybe not because it is still very early for it anyway. Have you already decided upon the role of the girls for all of their kids? For example will all of them be like mothers for all their offspring and share the same love and responsibility for every child they have or will they be mothers for their own kid(s) and “aunts” for the other kids. Maybe something else, I can’t think of right now? Would be nice if they loved the children of the other girls as much as they love their own child, despite some rivalry they have for each other at the moment. Humans are, sadly, the dominant species, though they are weak, frail little things. I'm surprised we allow it... Perhaps it's some underlying nature from an age forgotten? - also Alicia. I hope this mystery will be resolved within my lifetime, I’m looking at you Game Freak. Whatever the official reasons (probably because it works better for their games and anime), I think that they didn’t start a full blown war against humanity shows that Pokemon are the more peace-loving species on the planet. Serenity in a music competition? Hell yeah! Maybe a special LWR in the after story? Anyway how good is she at the moment with the guitar and flute? Just curious, because since she got them (ch53) not even a year has passed, maybe few months depending on how long Chris was in rehabilitation. She got a talent for it, but how would you describe her skills at the moment (for both guitar and flute). It wouldn’t be such a problem if not everyone Chris knew would “leak” his private contact… He needs a new number. The current one is now his public contact. The most practical solution is probably a press conference to handle all news outlets at once. Can’t wait to read this event.